Q for Quilts of Valor! 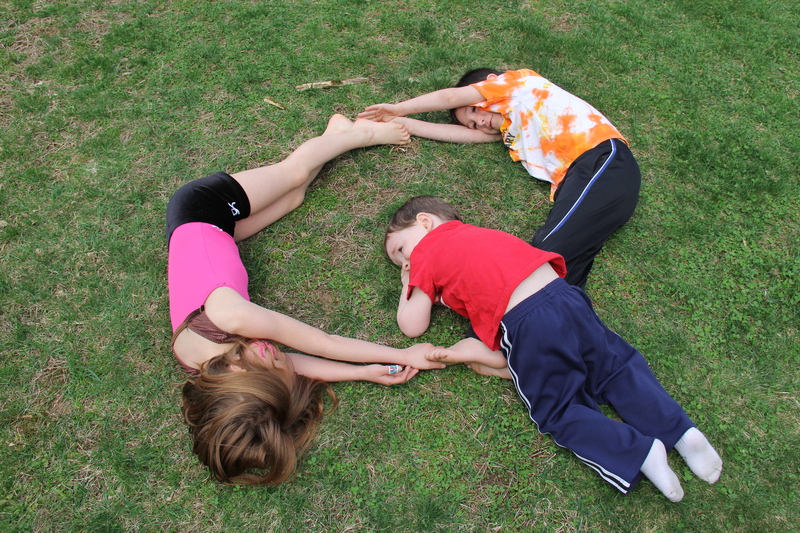 The letter Q has given me the opportunity to welcome my first guest writer! Marianne Bean is one of my dearest friends, the inspiration behind my desire to try sewing (although it didn’t really work out! ), and a proud supporter of our military. One of her many projects includes quilting for Quilts of Valor. 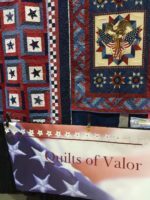 Below she shares information from the Quilts of Valor website (in italics) and her personal experience with a local chapter. Blue Star mom, Catherine Roberts, began the Quilts of Valor Foundation (QOVF) from her sewing room in Seaford, Delaware. 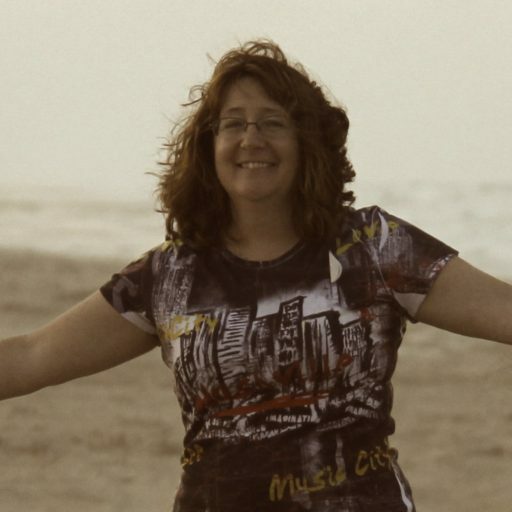 Her son Nathanael’s year-long deployment to Iraq provided the initial inspiration, and her desire to see that returning warriors were welcomed home with the love and gratitude they deserved, provided the rest. 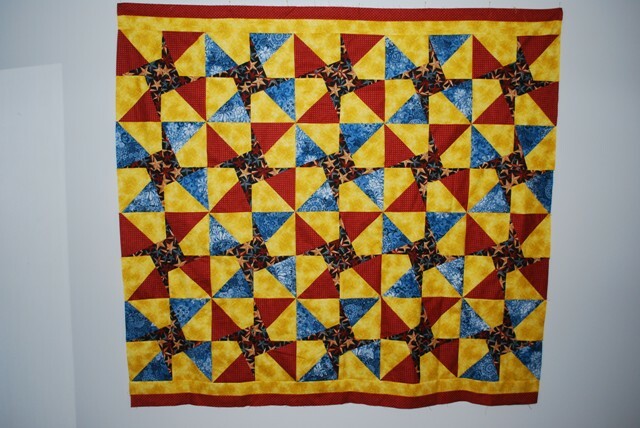 A Quilt of Valor is a generous lap-sized quilt (minimum of 55 X 65) made by a quilt-topper (the piecer) of quality fabrics and beautifully quilted by a longarmer. After it has been bound, washed, labeled and wrapped in a presentation case, it is ready to be awarded. The mission of the QOV Foundation is to cover service members and veterans touched by war with comforting and healing Quilts of Valor. Local chapters of QOV can be found on the foundation’s website. My chapter of QOV meets once a month at the Charlton Sewing Center, Charlton, Massachusetts. The owner of Charlton Sewing Center has been a great supporter of the group and has been generous to lend the space to the group without fee. Many hands make a quilt! The process begins with receiving fabric donations. Fabrics for QOV consist of red, white, blue, gold and patriotic, or variations of these colors (for instance maroon rather than red). The fabric process is simple, it’s ironed or pressed. 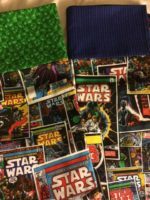 The fabric is then cut into certain sizes and packaged into a baggie which includes a pattern for the block. Once the blocks are sewn together they are trimmed to be equal. The blocks are then laid out into a pattern, stacked and labeled for sewing the rows together. Once the rows are sewn together, borders are needed to make sure the quilt will meet the size requirements. Once the quilt top is pressed, the top is complete and ready for quilting. The quilt top is layered. The first layer is called the backing (usually a piece of fabric one color), next is the batting and then the quilt top. It’s then quilted and ready for trimming, binding, a label and washing. The label is important. A QOF label includes who it was donated to and by which group; a little bit of history to be preserved for future generations. The quilt top pictured here was lovingly made myself and two of my sewing friends (Marge and Mary). 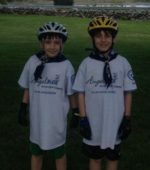 The fabrics were donated to the local Charlton, Mass chapter of QOF. The pattern is called Wedge Star and can be found on YouTube. With this printing the top still needed two borders to be sewn on. God Bless our servicemen and women! God Bless America!